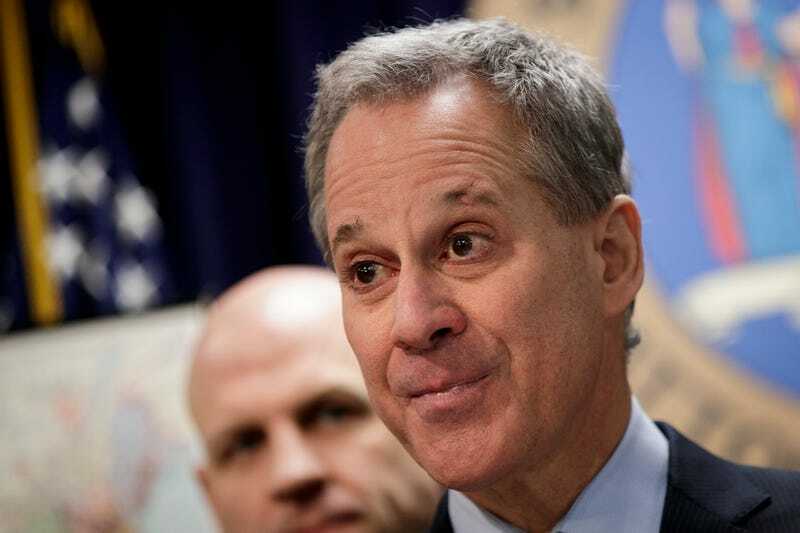 Just a week after leading a coalition of 16 attorneys general from across the country in opposing an Ohio state law that would defund Planned Parenthood and other health-service providers, New York Attorney General Eric T. Schneiderman had strong words Thursday for Donald Trump, who signed legislation that would allow states to withhold federal funding from Planned Parenthood. As previously reported on The Root, Trump signed legislation Thursday that erases former President Barack Obama’s rule that blocked states from withholding federal Title X funding from women’s organizations that perform abortions, including Planned Parenthood. The legislation signed by President Trump today marks yet another regressive decision by men in Washington aimed at restricting a woman’s fundamental right to make her own reproductive health choices. No health care provider should have to choose between providing basic reproductive health care and other vital public health services. I was proud to lead a coalition of attorneys general in filing an amicus brief against the Ohio state law that would defund Planned Parenthood and other health care providers. And I will continue to do all I can to protect women’s fundamental reproductive rights, no matter what happens in Washington. It is worth noting that abortion makes up only about 3 percent of the services that Planned Parenthood provides on a yearly basis. The organization offers low-cost screening and treatment for sexually transmitted diseases and infections as well as cancer screenings for both men and women. Using abortion as the basis for defunding an organization that provides help to so many low-income Americans is stupid, but our president is not exactly the brightest candle in the menorah, is he?